Which Came First, the New Market or the Entrepreneur? I spoke recently at a beginning farmer conference on the topic of the ‘farmer entrepreneur.’ Many of the attendees were students who want to move back to their home communities and start a farm business, but don’t necessarily have the resources to do it as a standard crop or livestock operation. The question for the talk was how to approach building a business in agriculture from scratch. Part of the discussion centered on how to get started. What’s the vision for my business? Do I want to pursue an opportunity that is new? Particularly for those considering livestock businesses, there are many interesting emerging market niches. But is the market ready for my new product or service? What if I invest myself in creating something that’s new, but one wants to buy it? It’s sort of a chicken and egg question. 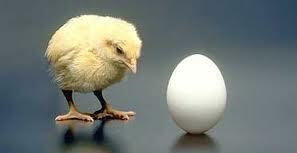 Which came first, the entrepreneur or the new market? Thomas Edison or the incandescent light bulb? Henry Ford or the assembly line? John Deere or the moldboard plow? Steve Jobs or the iPod? The idea that I tried to convey to the audience was that there is no formula or rote approach to developing opportunities. Rather, I put the entrepreneur at the center of the market creation process. I remember about ten years ago sitting next to a lady on an airplane who had strung from her neck a very small device with earbud wires coming from it. I was intrigued as asked what it was. 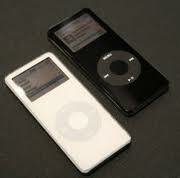 An iPod Nano from Apple, she told me. I knew then that I needed an iPod Nano. Prior to that moment you could have had me answer questions about my music habits, but I doubt that I would have reflected much interest in such a device. Its newness would have been too much an abstraction for to understand how I would use it. When I saw a Nano being used by someone else, however, I was ready to make the purchase. Steve Jobs and his crew at Apple enabled the market for electronic music, at least for one customer. Granted, market timing can be important. Another Apple example is the Newton, a tablet computer device the company worked on between 1987 and 1998. Perhaps its failure is related to the fact that Steve Jobs wasn’t at the company, or perhaps it is related to the fact that the market wasn’t ready for such a device. No matter, it was a failure. Zoom ahead to today, and Apple’s iPad ushered in a new era for tablet computers, now one of the hottest computing categories. Perhaps the market was more ready, but perhaps Steve Jobs and his team exercised their entrepreneurial muscles in such a way to create that success. Entrepreneurs enable new markets. Their actions put products and services within our grasp that we want, even if we didn’t know until seeing them that we do. So what are the opportunities for farmer entrepreneurs? For agricultural entrepreneurs? I have some ideas where opportunities lie, but ultimately those opportunities will be defined and developed by entrepreneurs. The burden is on the creators. Imagination is the input for innovation, and what springs from the minds of entrepreneurs is what will define how agriculture meets the challenges of the next few decades.